He figured out that he wanted to become a CPA, and became a double major at Wayne State University so he can attain his goal quicker, he said. “I’m killing my five-year vision plan,” Jerry said. He is studying accounting and finance, has had an internship with Invest Detroit and Quicken Loans and currently works part-time at a Nike store while attending school. 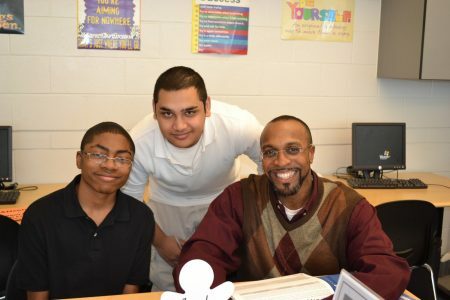 He credits Winning Futures and his mentor Ahmed Beasley for teaching him to build and use a network of employers, employees, and friends and to always work hard.